Eichel’s teammates agreed with him. Veteran winger Jason Pominville, the oldest Sabre at 36, said Housley’s dismissal after two seasons surprised him. They’ve missed the playoffs every season, never experiencing any team success other than the Sabres’ 10-game winning streak and brief run earlier this season. 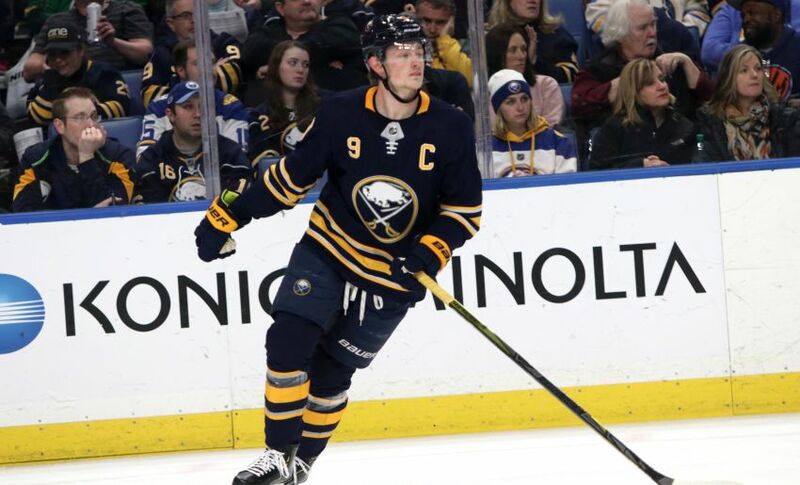 Update: The Sabres sent forwards Alexander Nylander and Victor Olofsson and defenseman Lawrence Pilut back to the Rochester Americans this afternoon. The Sabres also assigned defenseman Matt Tennyson back to the AHL on Saturday. The Amerks play a road game against the Cleveland Monsters tonight. The players are correct in saying that their downward spiral the last half of the season is on them! Why didn’t they rise to the occasion ? Why didn’t they refocus their mindset ? Why didn’t they up their attention to detail? Why didn’t they refuse to lose the individual battles along the boards and in front of both nets?Why didn’t they play each shift with true grit and hold each other accountable ! Why didn’t they pass or shoot at the most opportune time? See how easy and great fun playing hockey can be! Oh, and why didn’t they take the long-suffering and paying fans into account ? Lots of whys that Bots and new coach need to answer ! That’s why hockey is such creative fun to strategize and play !